Getting online is a fantastic opportunity for you to broaden your horizons. There are so many sites for you to explore and enjoy. You can also use the digital world to connect with your loved ones, to increase your skill set, and to enrich your at-home entertainment experience. However, there are also a lot of risks involved with going online. This is enough to completely put some people off engaging with technology. Whatever you do, don’t fall into this trap. The dangers of the web should not stand in your way. Instead, you can stay safe online by embracing the following ten tips. The first tip is to invest in your cybersecurity. This is a brilliant way for you to protect yourself, your devices, and your private information. Just think about all of the activities that you complete via your digital devices. Then, think about how harmful it would be if your activities were compromised. Why take any chances? Invest in your cyber security, complete all of your updates, and reinvest in new software every few years. The next tip is to get the experts on your side. What better way for you to feel safe using your devices? No matter your digital crisis, a trained professional is sure to come in handy. For instance, if you are up against internet defamation, it is essential that you understand your rights. Alone you will be vulnerable, but with a trusty legal advisor on your side, there is a chance for you to turn things around. Another important tip is to avoid sharing your devices with other users. Although it will be an extra expense to buy all of your loved one’s separate computers, in the long-term this could be the best option for everyone involved. At the very least you should have separate accounts. This will allow you to password protect your important information. You should also sit down with everyone who uses your devices to go over the ground rules. Make sure that you warn each user off dangerous sites and dodgy downloads. It may sound a little harsh, but you need to hold people accountable for the safety of your technology. When you are online, it is important to remember that you should only be communicating with people you trust. Hopefully, your inbox will already be set up so that it blocks inappropriate communications. However, you will still need to have your eyes peeled for questionable emails from people you don’t know. Even clicking on a message could provide hackers with access to your online accounts. You should also be cautious when carrying out video chats and communicating with online retailers. If you are a keen user of social media, it is vital that you think carefully about the information you are sharing. This is especially important if your profiles are open to the public. With every post you share, you need to think about the worst possible person to be seeing your content. Whilst it is much more likely that only your friends and family will be paying attention, you can never be too careful. You should also be careful about the sites that you choose to visit. 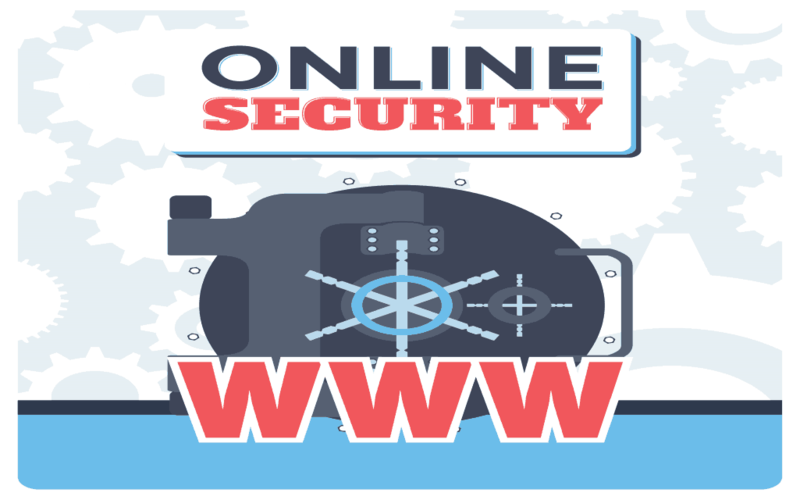 Before surfing online, you need to familiarize yourself with the signs of a dangerous website. This will help you to enjoy your time online, as you can take comfort in the fact that you know what to look for. Staying away from dodgy sites could also help to improve the performance of your devices, as they won’t be slowed down by your cybersecurity going into overdrive. Next, you should endeavor to rotate your password choices every few months. This is a brilliant way for you to defend your devices against any external dangers. If you are going to do this, you will need to think up passwords that include a combination of capital letters, lowercase letters, numbers, and even symbols. Try to come up with original, unusual passwords. You will also need to keep a paper copy of your password so that you will know where to go if ever you should forget. A paper copy should not obviously be labeled as your password, of course. It may seem like a lot of effort, but it is so much safer than having the same simple password for year upon year. Once you have established your password choices, you will need to think twice about leaving your accounts open. It might be that you are only leaving your device for a matter of moments, but it is still worth logging out. Regularly logging in and out of your accounts will also help your providers to identify any unusual activity. They will be able to pick up on your online habits and pinpoint any moments when you might have been hacked by another user. Along with being susceptible to hacking, you are also susceptible to online trickery. Instead of breaking the law, there are plenty of companies that choose to trick you via their small print. That is why you should read through every contract you sign online. You should also try to break the habit of clicking on a button the moment you see it. Pause for at least five seconds to scan the screen and evaluate your options. Last but not least, you should weigh up the pros and cons of internet banking. This is a natural step to take if you are spending more and more of your time online. However, you should only be internet banking if you understand all of the risks involved. It is also essential that you adopt a safe approach to managing your money. Do your research beforehand, as opposed to diving in at the deep end.